Christmas Eve -- A time of family & friends, food & fun, with visions of sugarplums and........cash? It's been a wonderful month at Kids Five & Over with a donation from Santa at the beginning of the month, a story in Seacoast Online mid-month, a radio interview this morning on WGIR, and now this? We are over-the-top with excitement for the love and support we have felt this month and know that our K50 kids feel the same. Thank you to everyone who has embraced our mission and shown their support through donations. 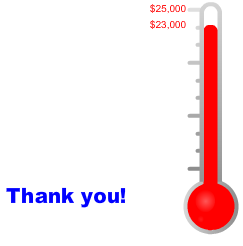 We are so very close to our goal of $25,000 by March of 2015 and know we will get there because of you. Holiday hugs and heartfelt thanks to all! 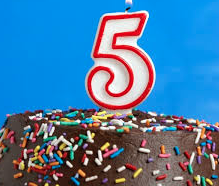 Thank you to Denise Wheeler, writer extraordinaire, and Seacoast Online for publishing a story about Kids Five & Over. You can read the story by clicking here: "Nonprofit Gets Early Gift From Santa"
The added spotlight on the work we're doing has yielded an onslaught of donations, including donations that will be used as gifts this holiday season. To our Kids Five & Over kids - past, present and future - 2015 is going to be a great year for you! !